Millenium Kids held an event collecting litter at Quinns Beach recently. THE Millennium Kids organised a hunt for biodiversity treasures and plastic pollution at Quinns Beach last weekend. “We were surprised how much plastic we found on the beach, including lots of small pieces,” member Alex Wake said. 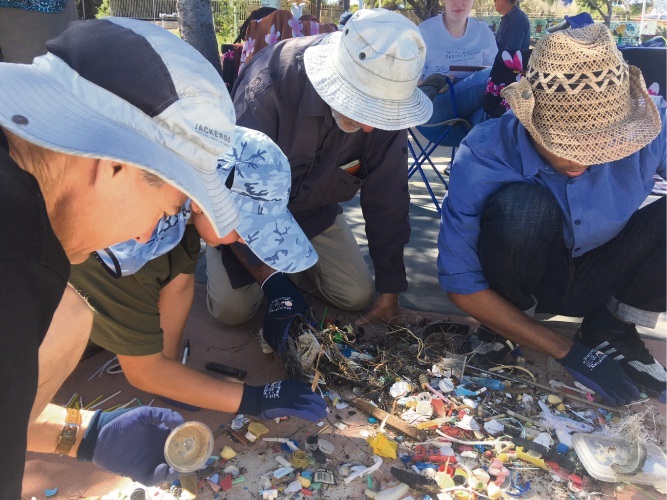 Young people and their mentors collected litter then sorted it to help understand where it may have come from, using a marine debris datasheet from the national marine conservation group Tangaroa Blue. As well as sorting and categorising the litter, the children made a mosaic using coloured plastic fragments to represent birds. 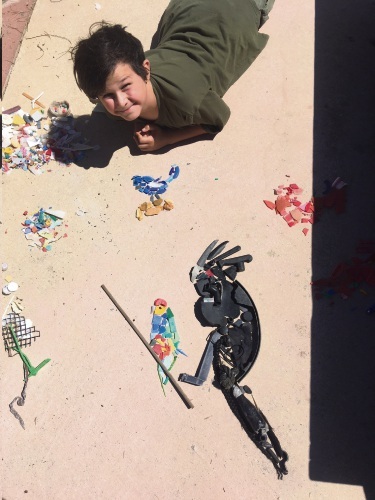 “I enjoy bird watching and art, so I made some mosaics of birds using plastic we picked up from the beach,” Patrick Wake said. Millennium Kids chief executive Catrina-Luz Aniere said the organisation encouraged people to look deeper at environmental issues. “Quinns Beach looks clean, but on closer inspection we found litter, especially small plastic items and fragments,” she said. “This got us thinking about why it is here and how we can reduce plastic pollution. Ms Aniere said participants also walked along the coastal trail as part of a biodiversity treasure hunt, finding wrens and plants that thrived amid exposure to salt and wind. Millennium Kids is a community organisation that supports young people to take action for the environment. For more information, email info@millenniumkids.com.au or find on Facebook.